The Pioneer has a powerful motor and full coil suspension making it an idea performance scooter for more challenging environments and journeys up to 35 miles. 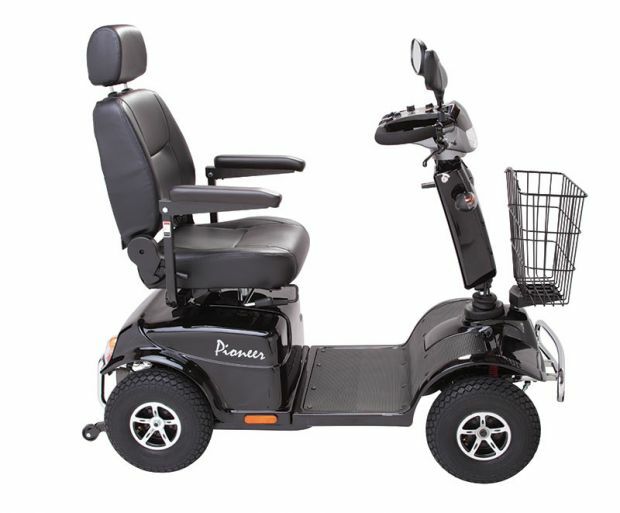 it features a de,ta-bar tiller with hydraulic adjustment, a sliding swivel seat with headrest and padded armrests, making this the one of the most popular scooters for the road and pavement. Sliding swivel seat with armrests and headrests for maximum comfort.